This is absolutely random race and none of the participants can know what exactly is inside the mysterious yellow box. 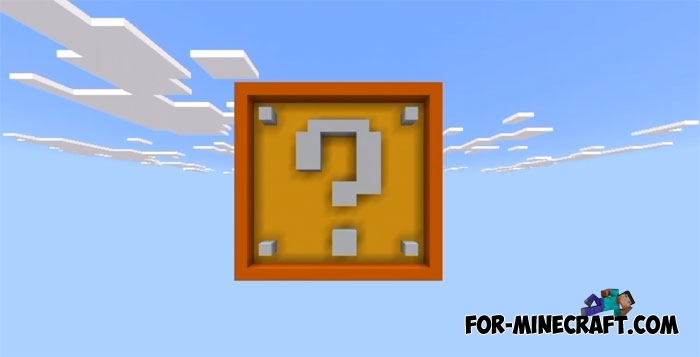 For those who do not know what the Lucky block is: a yellow block with a question mark that stores in unpredictable things, mobs, effect, structure or anything else. You just break it to see the contents, so be prepared to take on an unexpected result. 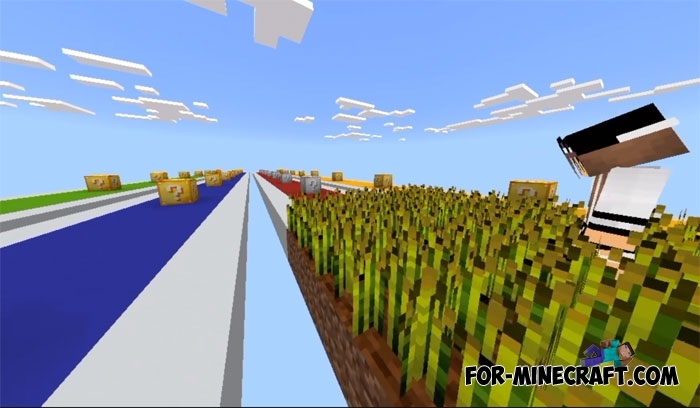 Lucky Block Race is a track for four players where the lucky blocks are sequentially placed. All players without exception must break the block and move on to the next one. 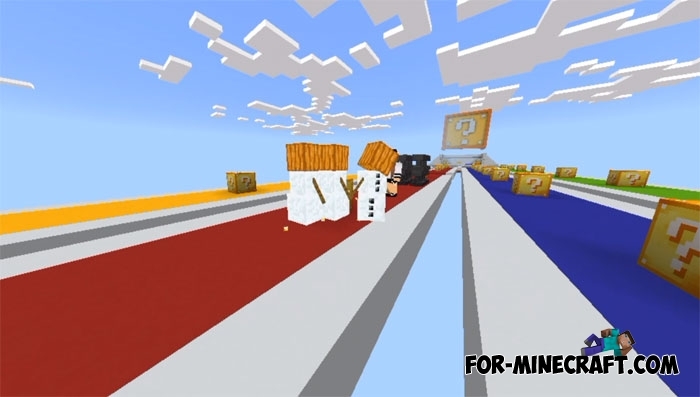 In fact, each lucky block is an unpredictable phenomenon, you can not know exactly what will appear a second after the destruction of the block. It is unpredictability that is the most interesting thing on this map. The file contains an addon that is installed automatically with the map. It is recommended to play Minecraft Bedrock 1.2.10 or later for proper compatibility.